Maximize your silkscreened message on the extra-wide barrel of the BIC (R) Media Max (TM) medium ballpoint pen! Assembled in the USA with Patent No. 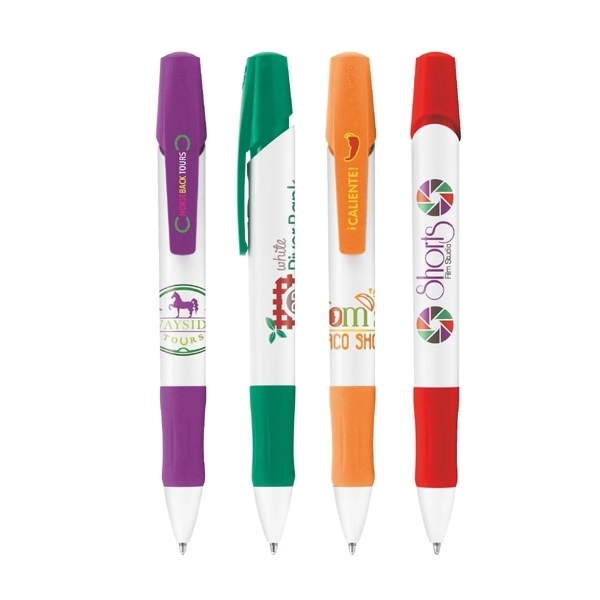 D499,141S, this instrument features a colored trim, black ink, and an innovative retracting mechanism. Your recipients will also appreciate the soft, sleek gripping section which will keep them using it! 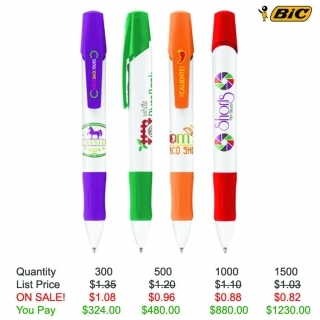 This promo item will fit the needs of any business, project, conference, convention or other event. Shipping Weight: 8 lbs. per 300 - FREE Shipping!